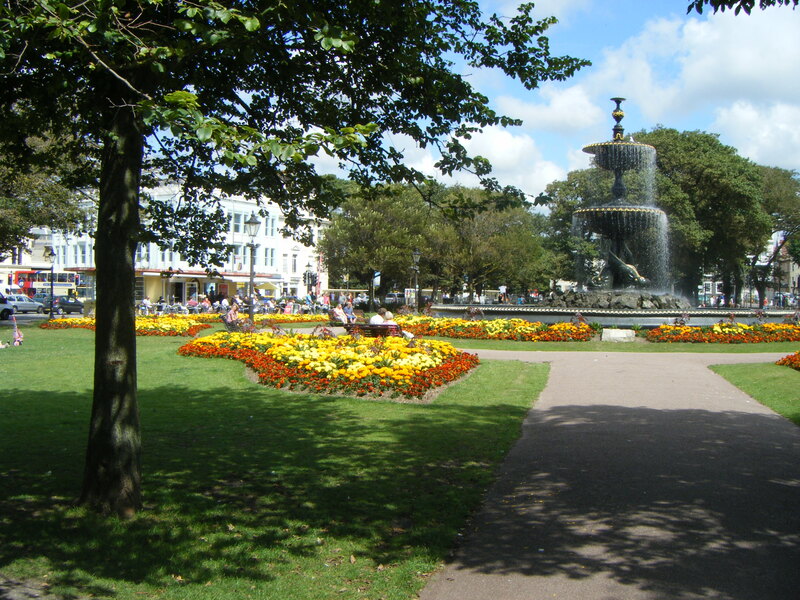 In the middle of Brighton, there is a fountain surrounded by gardens. 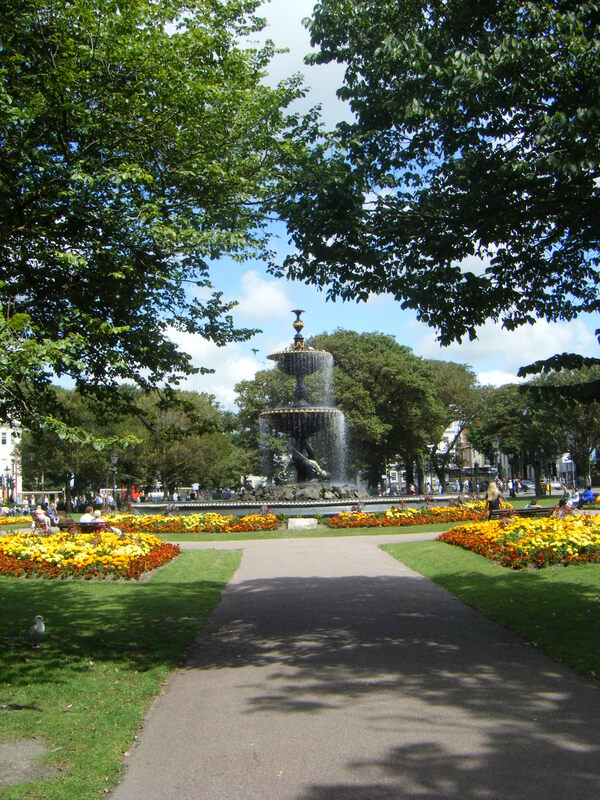 This area is called the Old Steine. It’s a place I have spent a lot of time looking at over the years. Last summer I took some photographs of it. In the picture below you can see a red brick building on the corner of two streets. I worked two or three doors down to the left of this building in 1975 for a few years, in a big old house. I was on the first floor, working in a dental surgery, there were full length glass doors at the front of the building, so I could gaze out on the fountain and gardens while attending to patients having teeth pulled and fixed. 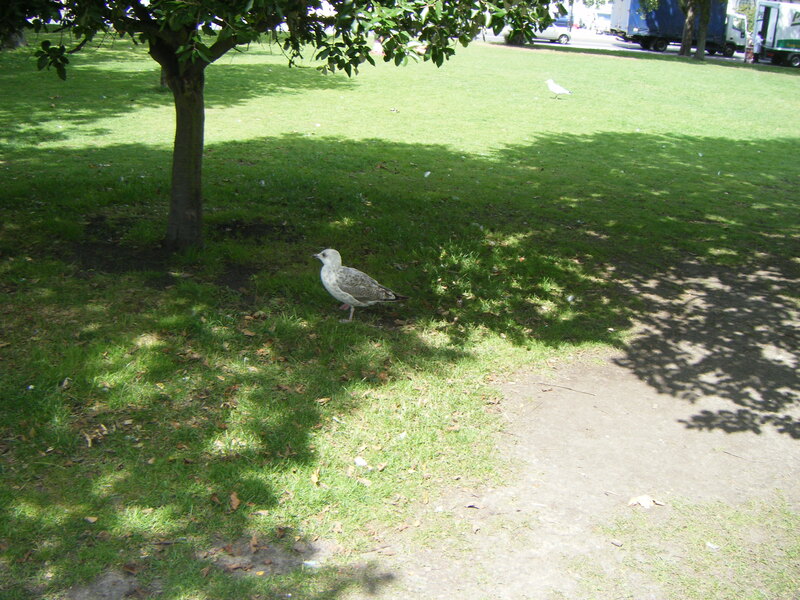 I especially remember the long hot summer of 1976 and eating my sandwiches out here sitting under the shade of a tree. I had no interest in history, and had no idea how long the fountain had been there. 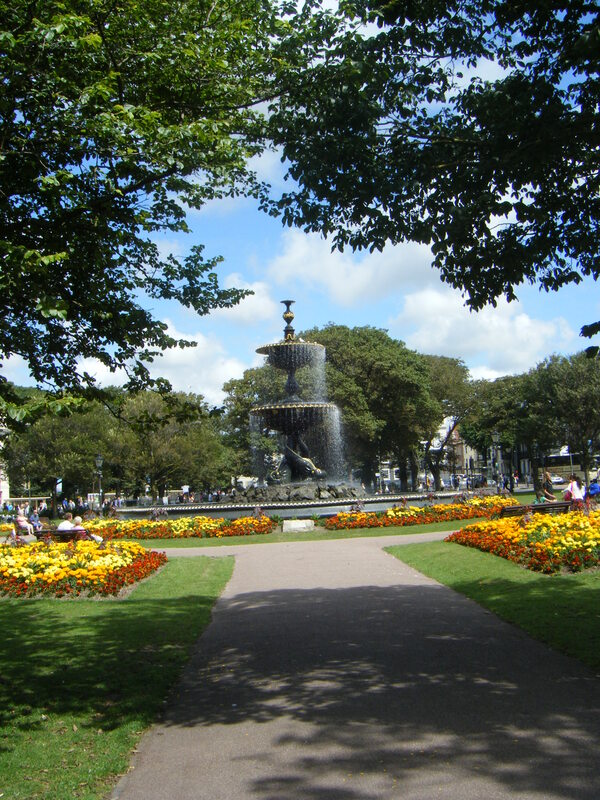 Since getting engrossed in my family history I have found it fascinating that my great-great-grandfather and his family lived and worked just around the corner from this fountain. At one time they were within sight of this fountain, the Queens Head pub (John Dinnis was the publican and cook) backing onto the dentist’s building where I would work almost one hundred years later. The pink tag locates the place I worked at. 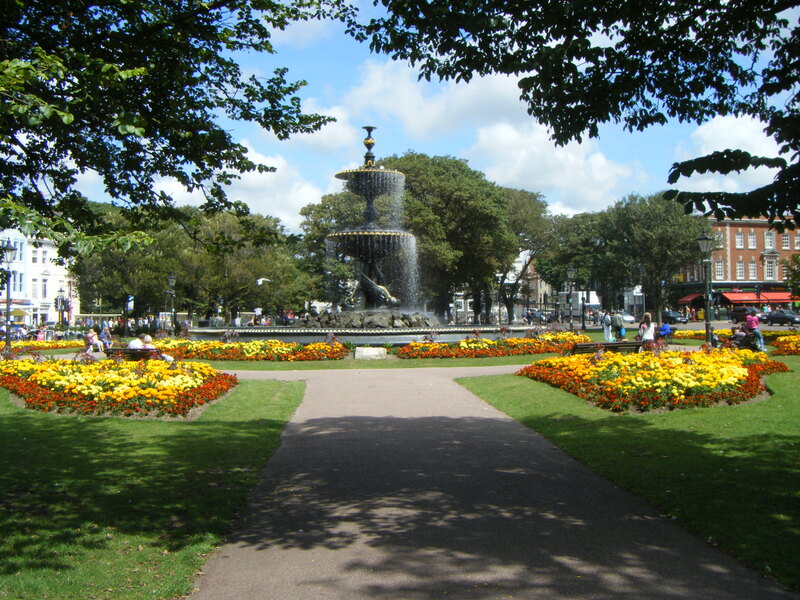 I looked into the history of the gardens and fountain and found that it was opened on May 25th 1846, to honour Queen Victoria on her 27th birthday. It is thirty-two feet high, with two shallow basins, supported by three cast-iron dolphins above a large pool. 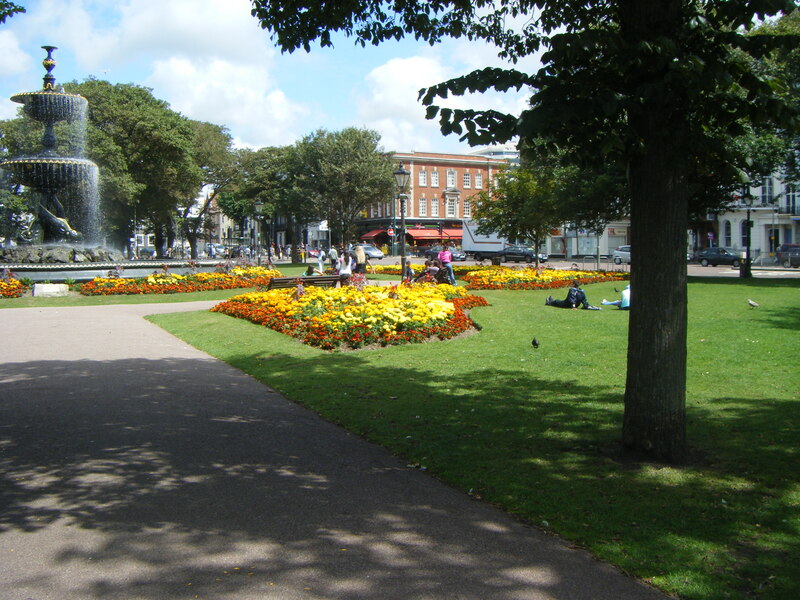 It was designed by A. H. Wilds and financed jointly by John Cordy Burrows and a public subscription. 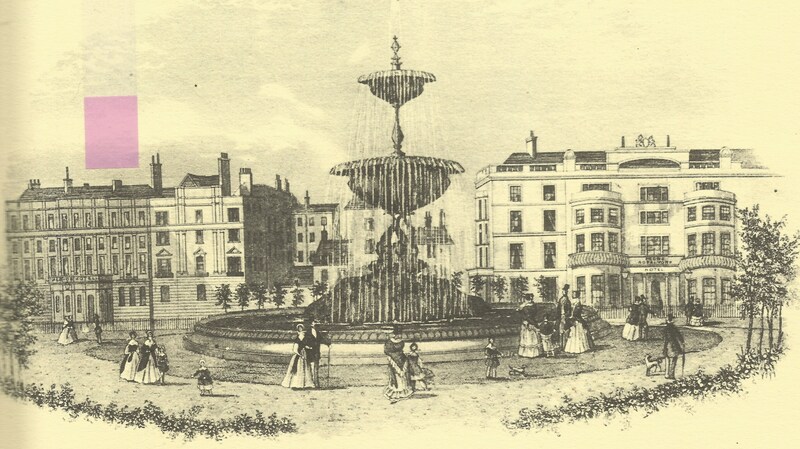 The Dinnis family lived in Brighton at this time, and must have seen the Old Steine before and after the addition of this fine fountain. 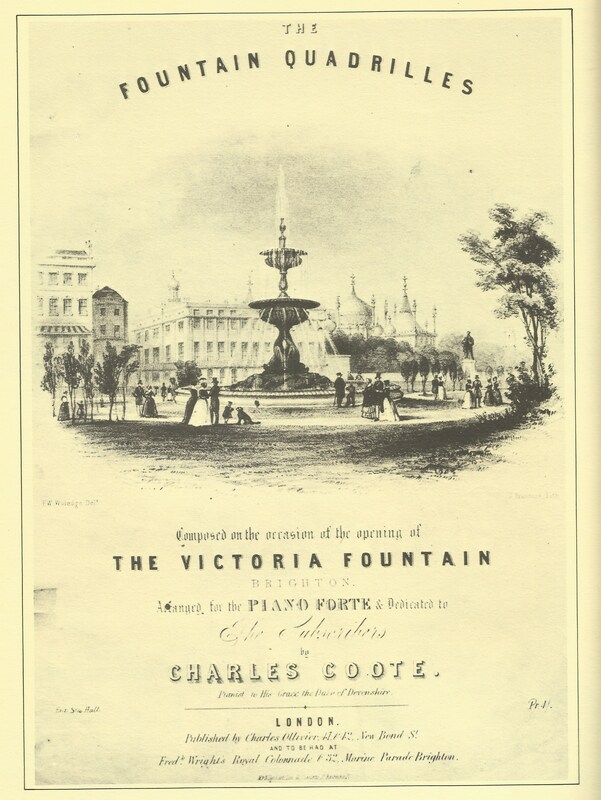 The opening of the Victoria Fountain sounds like a typical ‘Brighton’ affair, with a musical accompaniment and fireworks. In the book ‘Old Brighton’ it states ‘A band of German musicians, who have been for some time in Brighton, was stationed under a tent, where their beautifully executed music quickly drew together a crowd. 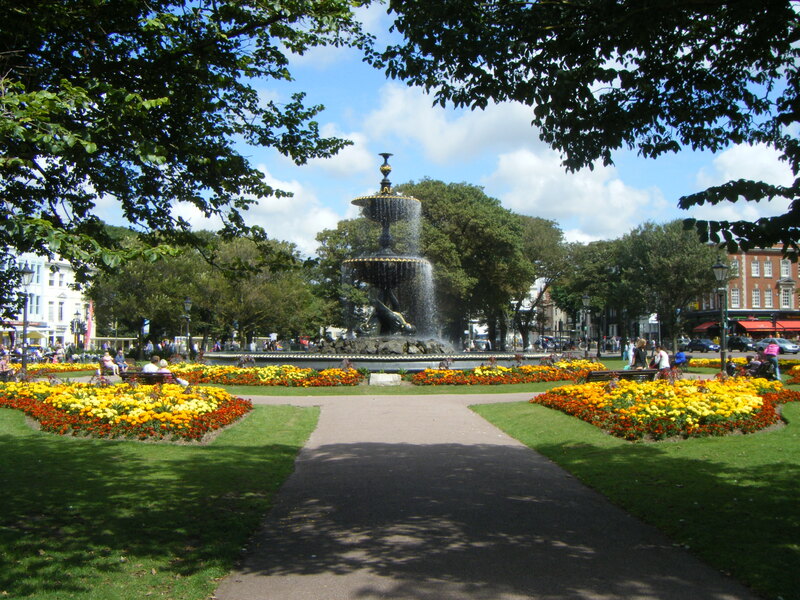 They were succeeded in the afternoon by the band of the 12th Lancers.’ The picture above looks at the fountain from the other side, you can see the Royal Pavilion in the background. Here are some more photographs I took. 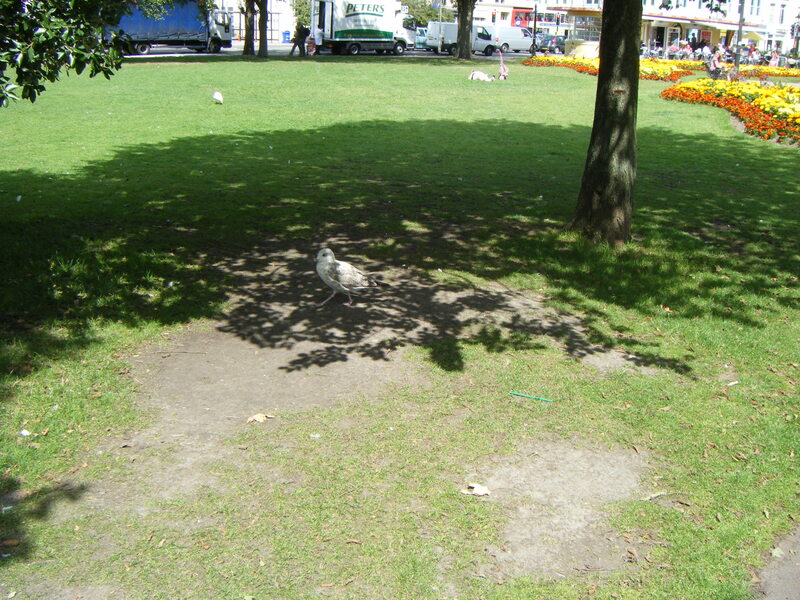 This entry was posted in DINNIS, John Dinnis and tagged Brighton, Family History, History, Photography. Bookmark the permalink. Enjoyed your posting very much. The photographs were great. Thank you, I’ve noticed now I’m looking into my family history all the current places in Brighton take on new meaning for me!